ARGN has turned an important corner, recently. For the past six months, the genre of Alternate Reality Gaming has continued to gain mainstream recognition, in no small part due to games like I Love Bees and Regenesis. As a result, traffic here and at affiliate sites like Unfiction has continued to grow swiftly, which is a good problem to have. The proliferation of new and ongoing ARGs, continued media exposure, and becoming widely accepted as a bona-fide news source has suddenly made it pretty obvious that we’re not just a little fan-site any more. As a result, for the past six months or so, we’ve been working on adding some behind-the-scenes resources to help ARGN continue to be the nexus for all things ARG. So today, we’re pleased to announce the addition of almost a dozen new staff members here at the Alternate Reality Gaming Network, made up of Editors, Writers and News Scouts. We’re very excited, as we’ve gotten some brilliant individuals with unique perspectives and a common love for Alternate Reality Gaming, and we’re sure you will enjoy their work. 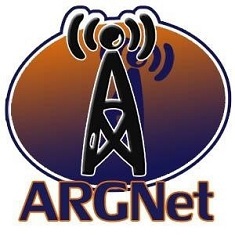 In addition to the major ARG news and game reports you’ve grown accustomed to seeing here, ARGN will also begin offering feature articles of interest to ARG fans everywhere, as well as content such as interviews, in-progress reviews and more. We’ve anticipated making these changes for quite some time, but they’ve been largely dependent upon the genre growing to a point where it becomes necessary. Happily, it seems we are now at that point, as there’s now more than enough going on in the world of Alternate Reality Gaming to sustain us here at ARGN. So, watch for continued changes around the site, some great articles by some very talented individuals, and even some very exciting stuff that we aren’t allowed to mention quite yet.